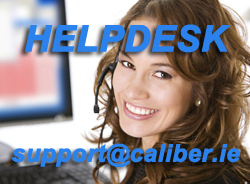 Caliber is a highly flexible software application designed specifically for corporate and agency recruiting. Caliber Corporate Edition covers all aspects of recruiting, tracking candidates from initial application through to final hiring and allows you to build your talent pool along the way. 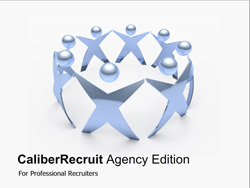 Caliber Agency Edition caters for permanent, temporary and contract recruiting with fast candidate registration, extensive searching, auto emailing and text messaging. Both editions support jobs boards posting and all jobs can be displayed in real-time on your own corporate website. Designed by experienced recruiters and a world class development team using the very latest technologies, Caliber guarantees better productivity from your staff by allowing workflows to be tailored, thus ensuring you get the functionality, precisely as you require it. Please feel free to contact us if you require more information.